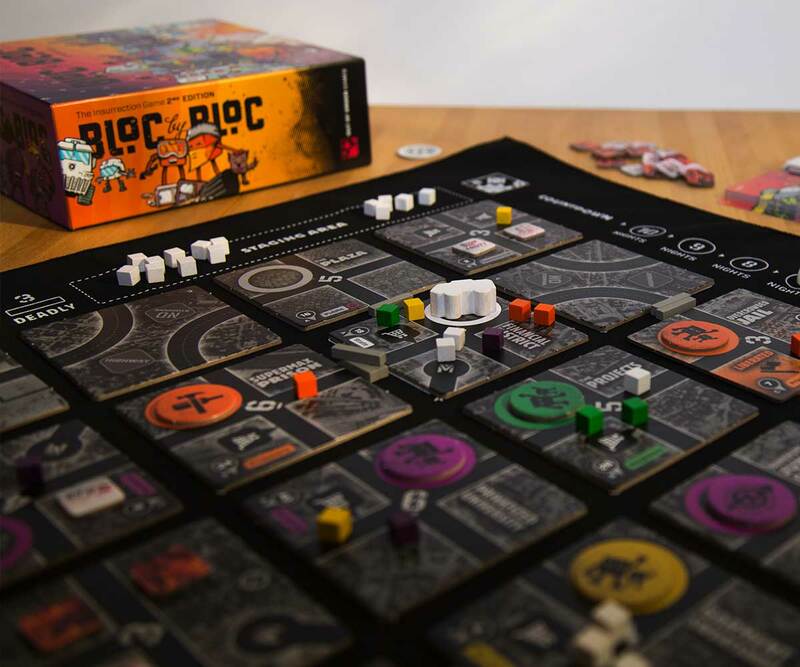 In Bloc by Bloc: The Insurrection Game, each player controls a faction of revolutionaries—Workers, Students, Neighbors, or Prisoners—fighting against the State in the streets of a city that change with each game. 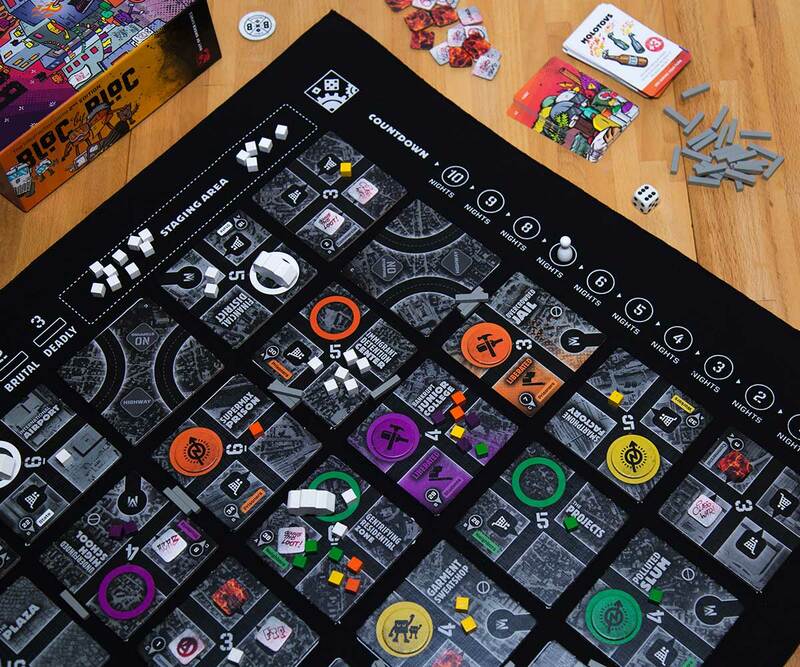 Build barricades, clash with riot cops, occupy districts, loot shopping centers, and liberate the city before time runs out and the military arrives! 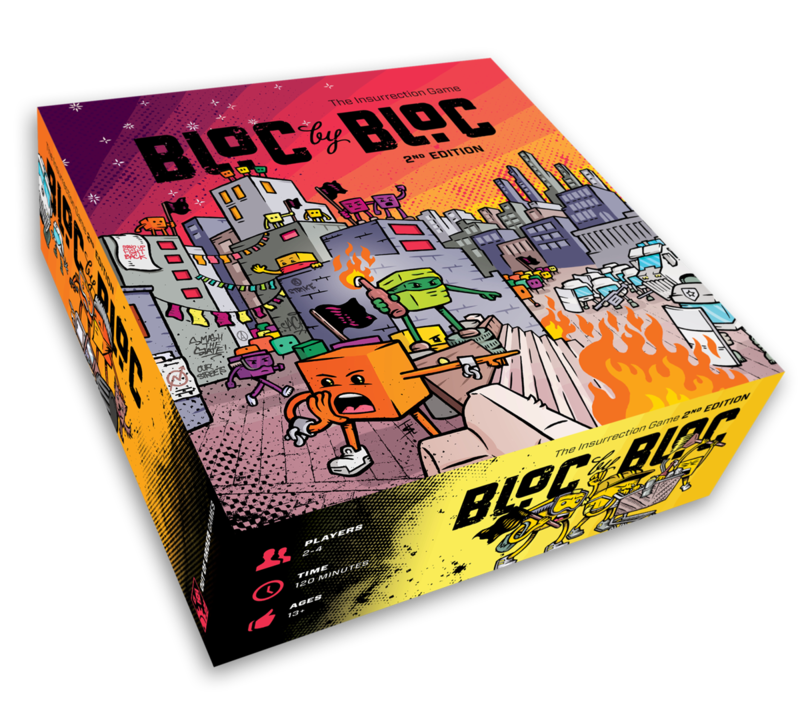 Bloc by Bloc features hidden agendas, deep strategy, area control, asymmetrical player abilities, and a special method for randomly generating billions of unique city layouts. 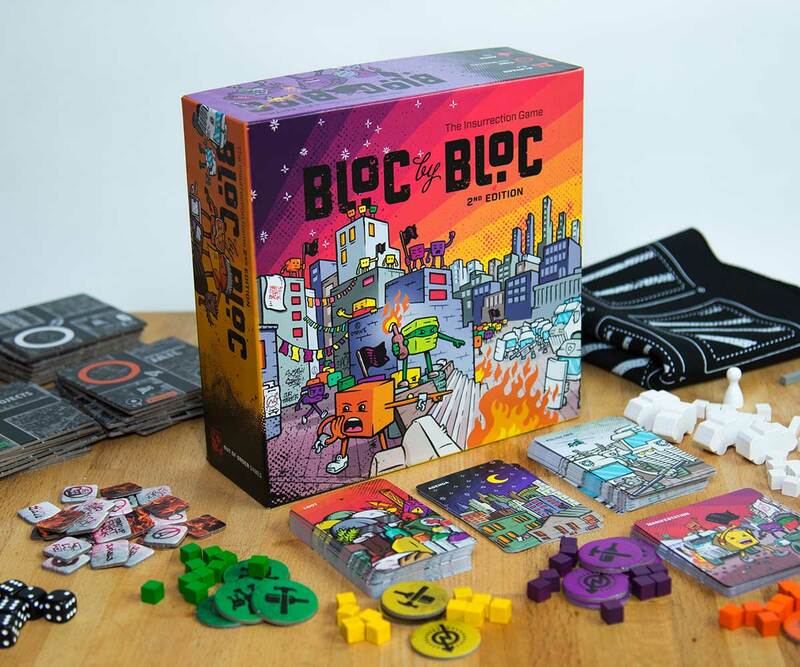 Bloc by Bloc can also be played in fully cooperative mode. 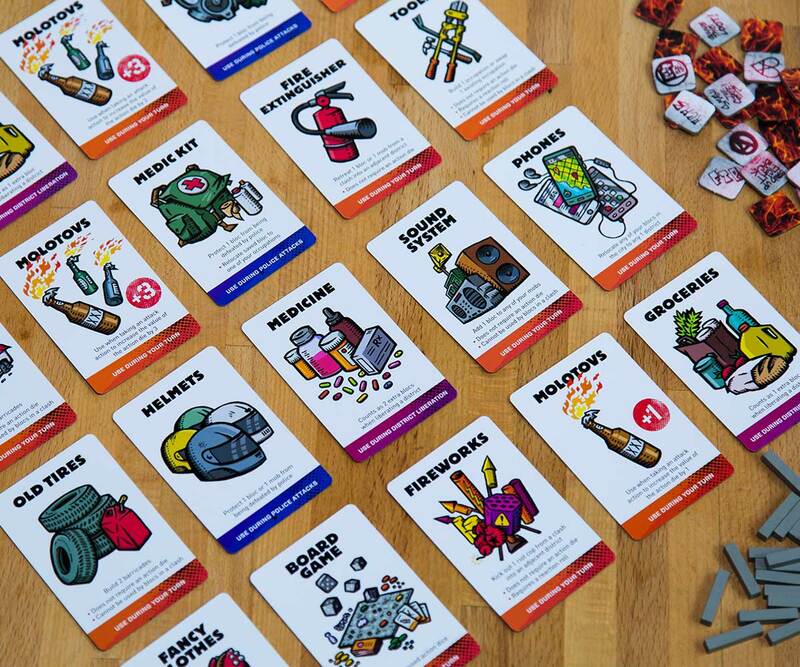 Read the rulebook, check out the how-to-play video, and download free print & play files! 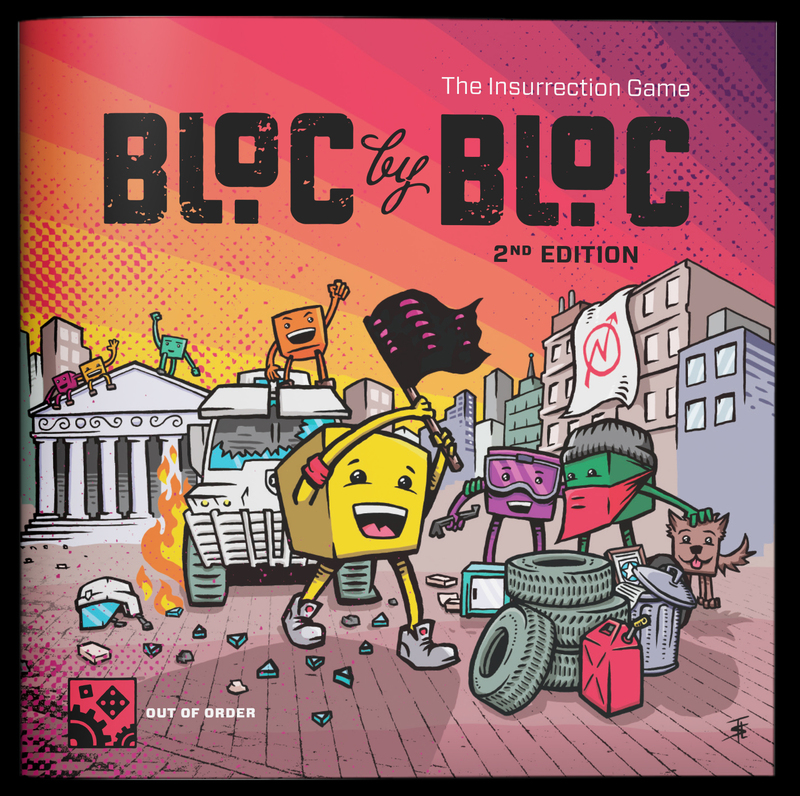 Bloc by Bloc: the Insurrection Game by Out of Order Games is licensed under a Creative Commons Attribution-NonCommercial-ShareAlike 4.0 International License. 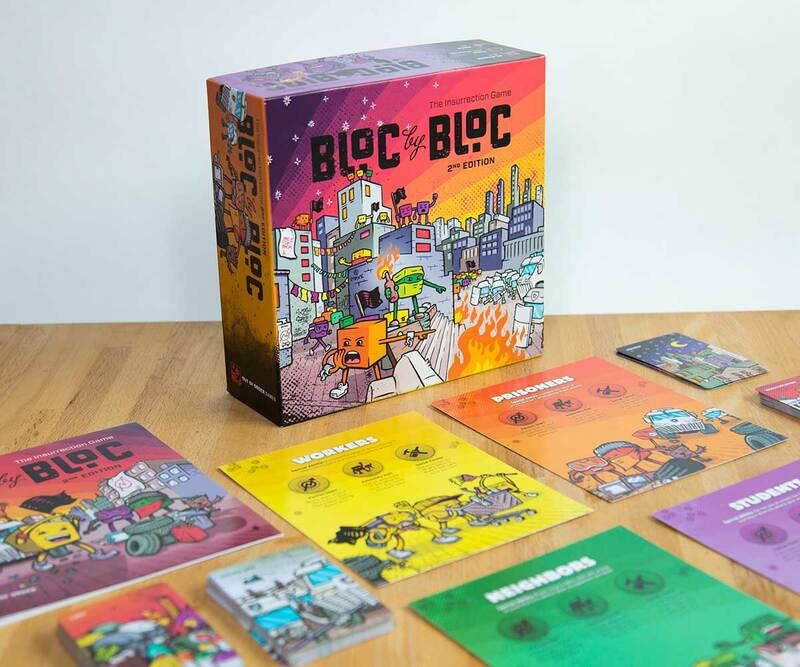 Game development and visual design by T.L. Simons. Special thanks to all Kickstarter backers and everyone who has supported this project over the years in the Bay Area & beyond.